Edward Xavier Schmid was born March 2, 1921 in Beaver Dam, WI. Son of a Swiss immigrant he learned the family trade of cheese making. At 19, he joined the 32nd Division of Wisconsin National Guard and was a member of the last active Horse Calvary out of Watertown, WI. 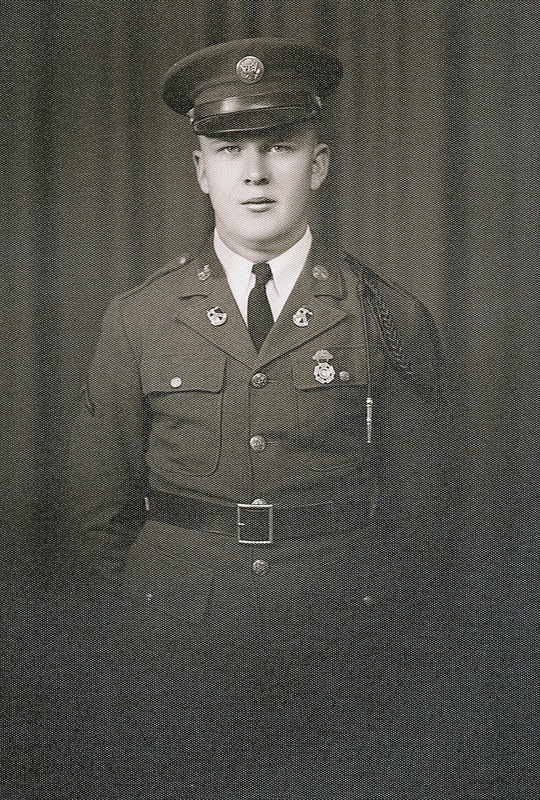 On October 15, 1940 Ed was called to active duty and did basic training at Camp Beauregard in Louisiana, in the 126th Field Division and trained for field artillery. The guns were 155 millimeters and called Long Toms. Ed was one of the 11,000 troops bound for North Africa on the USS Monticello, a captured Italian luxury liner. Upon arrival in Africa, they drove to Algiers, then to Sicily before entering Italy. When the troops arrived in Rome, they were met with a celebration and the people throwing flowers at them. It was a great surprise as they had not yet heard about D-Day. Ed served his country until September 25, 1945. One of the highlight’s of Ed’s life was visiting the World War II Memorial in Washington, DC. He was proud of the Memorials significance and took great pride in paying his respects to his commanding officer.